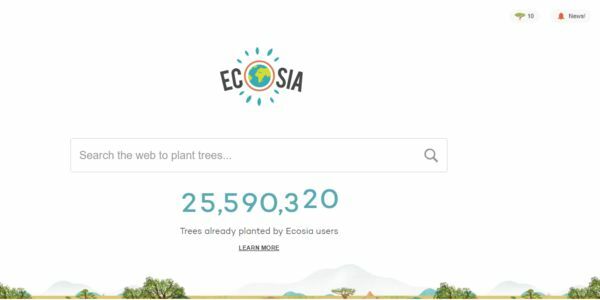 Ecosia uses over 80% of the profits from your web searches to plant trees where they are needed most. Give it a try!. Ecosia is a search engine that works like google except they plant trees everytime you search the internet.